But it doesn’t come with a user’s manual! The FIND SOMETHING AWESOME! book series teaches boys and girls what their brains are capable of doing! By understanding and practicing their brain’s awesome capabilities of Positive Thinking, Gratitude, Mindfulness, and Focused Imagination the FIND SOMETHING AWESOME! 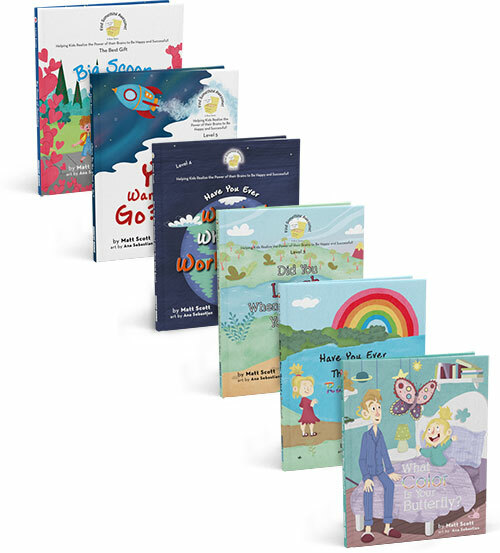 book series helps kids build self-confidence for positive childhoods and to develop life-long skills for happiness AND success. Did you know that your thoughts create feelings? Did you know that you can train your brain to turn off negative feelings and think positively?